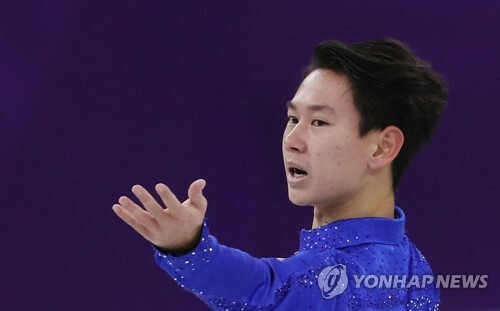 SEOUL, July 19 (Yonhap) — Denis Ten, a Kazakh figure skater of Korean descent, has been stabbed to death at 25, a Kazakhstan news agency reported Thursday. Kazinform reported that Ten was stabbed by two unidentified men in Almaty at 3 p.m. Thursday (local time) and was pronounced dead at a hospital. The news agency added that Ten lost 3 liters of blood and was fighting for his life for nearly three hours before his passing. Ten enjoyed a huge following in South Korea as a great-great-grandson of a Korean-born independence fighter, Min Keung-ho. Ten won a bronze medal in the men’s singles at the 2014 Sochi Winter Olympics, becoming the first figure skater from Kazakhstan to reach the Olympic podium. He was also a two-time medalist at the world championships and was an immensely popular winner of the Four Continents Figure Skating Championships in Seoul in 2015. Ten was the official ambassador for Almaty’s bid to host the 2022 Winter Olympics. Beijing beat Almaty in an International Olympic Committee (IOC) vote held in Kuala Lumpur in July 2015, but Ten told Yonhap News Agency at the time that he believed Almaty would take another crack at it and would hopefully come away with better news. Ten skated at the 2018 Winter Olympics in South Korea’s PyeongChang in February but finished in 27th place in the short program while still nursing an ankle injury. He thanked South Korean fans for their warm support and called the country “a special place” for him.